Wholesale 8pc MEDIUM FOIL CONTAINERS -8 piece medium foil containers. 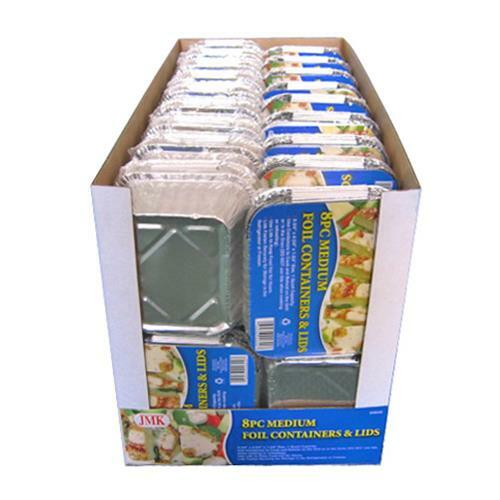 Great for cooking, storing, and serving all your entrees, sides, appetizers, and desserts. Perfect for banquets and events of any size. Provides unparalleled temperature retention. inlcudes 8 lids. 11.81" x 21.26" x 9.84"